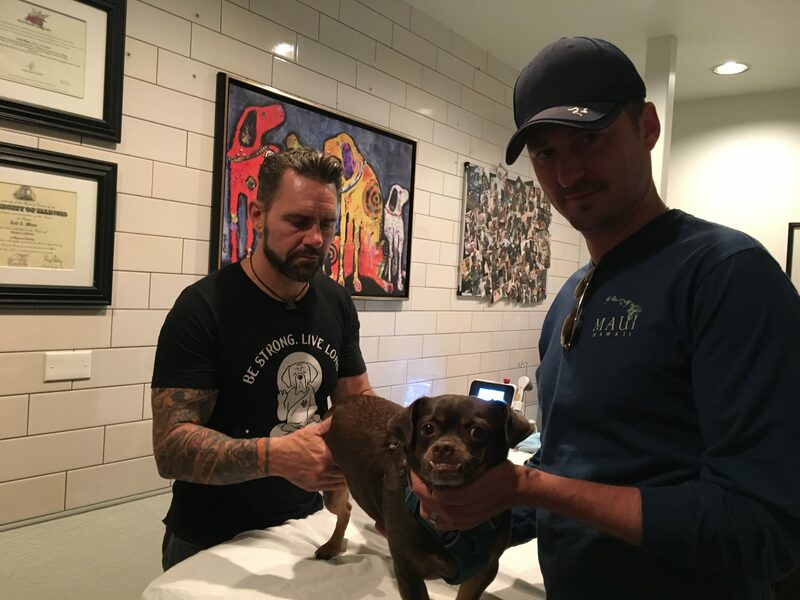 Simon is a 7 year old Min Pin – Pug – Chihuaha mix. He had been receiving laser therapy for several months for a CCL injury and was still not putting any weight on his left hind leg. 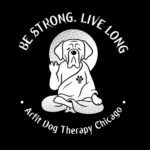 His parents came to Arfit Dog Therapy to try a full rehabilitation program. After my initial evaluation, I concluded that his knee was still very inflamed. His quadriceps and gluteal muscles were very weak from disuse and his spine was stiff due to favoring his left leg. We started dry needling, spinal and lower extremity deep tissue and joint mobilization and targeted Class IV laser therapy to his knee and spine. After his inflammation was resolved and his muscle spasms reduced, we progressed Simon to weight training and incline treadmill pulling to strengthen his rear legs. After 3 weeks, Simon began using his left leg again. After 5 weeks he is now running and going down the stairs again. Great Work Simon!